The village of Candes-Saint-Martin winds uphill to its imposing church and from its hillside position offers commanding views over the river confluence below. As with most towns and villages of the Loire valley the buildings are built of a white stone and have steep grey slate roofs giving them a very elegant look. 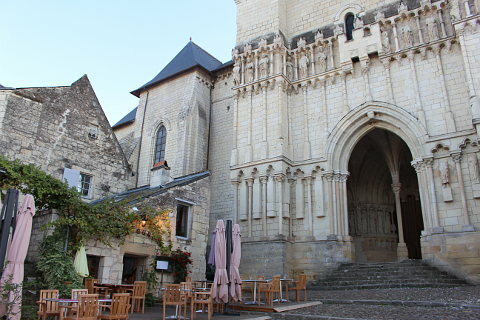 The attractive buildings, view and the imposing church and castle all add to make the village one of the "plus beaux villages de France", "most beautiful villages of France". The church, the Collegiale Saint Martin, is at the heart of the village and was a popular pilgrim site after Saint Martin of Tours died here in the 4th century. The original church fell to ruins but was rebuilt in Gothic style in the 12-13th century but keeping in tact the cell where Saint Martin died. 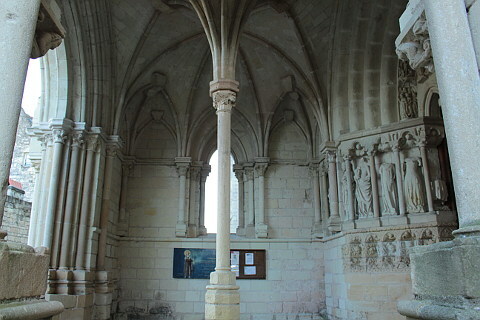 Saint Martin's tomb is at Tours but many illustrious personalities made the pilgrimage to Saint Martin where he died. These include Saint Genevieve, Queen Clothilde and King Charles the Bald. Many pilgrims continued on to Santiago de Compostela in Spain. In the 15th century some defensive elements were added to the church including buttresses and battlements. Also at the top of the village is the castle of Candes Saint Martin called the Chateau de Candes. The castle has panoramic views over the river and the village and has been converted into luxury accommodation. 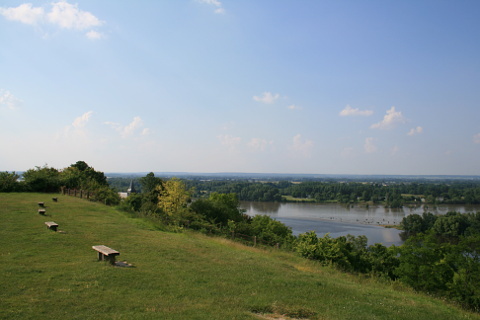 Follow the signs to the panorama above the village from where you get great views of the river confluence below. The port of Candes Saint Martin is home to some traditional boats called "gabares" and it is possible to take a trip along the river on one of these. 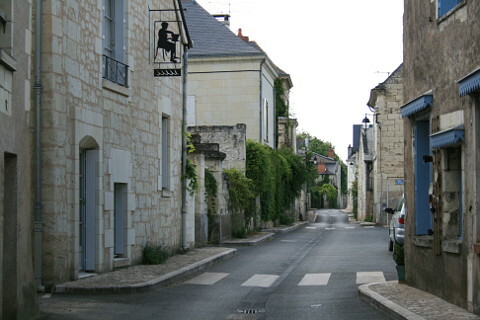 The village is also on the 'La Loire en vélo' cycle path which is a very popular cycle route in the summer. Just a couple of kilometers away on the banks of the river Loire is the village of Montsoreau which is also a "most beautiful village of France". If you have the time walk along the rivers edge from one village to the other. 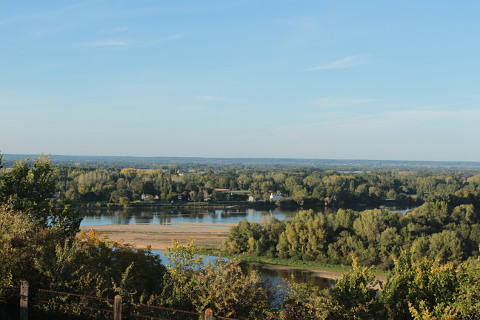 Saumur is a very pleasant town which is a good base for visiting the Loire Valley. The Chateau de Saumur is not one of the top Loire Valley castles but it is in the town centre and worth a visit. 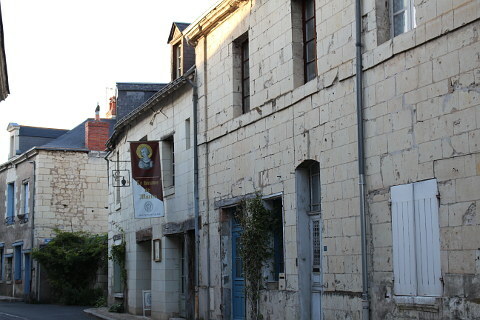 Also nearby is Chinon which is a lovely village which would also make for a good base for visiting the area. 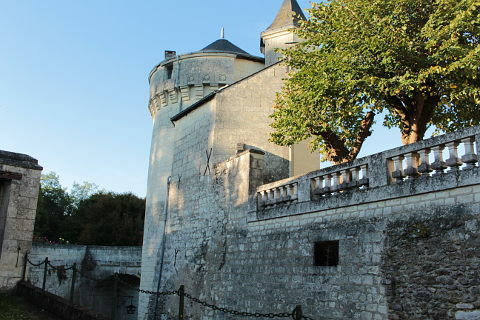 The Chateau de Chinon is a more medieval style castle than most of those in the area. 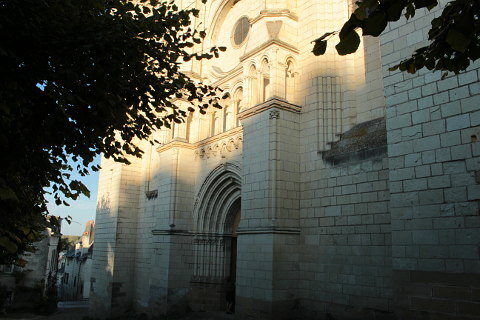 The Abbaye de Fontevraud and the Rabelais museum are also attractions that can be found nearby.